For most of my trips, I’ve been travelling with The Mum and it’s ok when it’s just her and me. We kind of give in to each other and make sure to enjoy the trip. But on a couple of occasion, The Mum has her friends to join us on our trips. As it suggests, the elderly does not have the same stamina as younger people. When planning your itinerary, it’s essential to avoid places where you have to walk too much, or even climb too much stairs. Either that, cater enough time to match their pace so that they won’t be complaining too much. It’s important to have rest stops in between locations. Plan some interesting cafes into your itinerary so that they can have a rest and you can also check out the cafes. Avoid animal’s cafes as the elderly might not find the animals as fascinating or cute as compared to us. Plus some might need caffeine if not they will turn groggy. Ensure that you plan your mealtime properly and on time as the elders get hungry easily at specific timings. Also to make sure that the food will be to their liking. To be honest, I thought most elderly people like sightseeing but I was wrong. And then I thought that shopping would suit them instead and I was wrong again. Have a mixture of activities in your itinerary so they won’t get bored easily. Coming from personal experience, theme parks is just a NO when you are travelling with elderly. If you really die die must go, either be prepared to be nagged at and see black faces or be sure to find an alternative nearby where they can spend time at. This proves difficult at countries where there is a language barrier so do be sure to plan properly. Sometimes, even you ensured to ask for opinions before the trip, the reaction during the trip can be different. Don’t say I never warn you! To avoid such troubles and headaches and any unhappiness. For an example, not being appreciated after planning everything alone and doubling up as a translator and guide. (I mean you want to be enjoying the trip too.) Have a stand and don’t allow your parents to bring their friends along the trip. For sure they can travel together, help them look for tours that are reputable and buy travel insurance. Just keep yourself out of the picture. And if you are an older person reading this, I hope you won’t be offended and maybe have a change in perspective. Try to appreciate the younger generation more when they try to accommodate and spend time with you. Be more appreciative and less critical. Compromise is the word to remember. Travel Planning can be quite fun yet stressful sometimes. With two upcoming trip that I’m planning for, I decided to write and share some tips on Travel Planning based on my own experience. 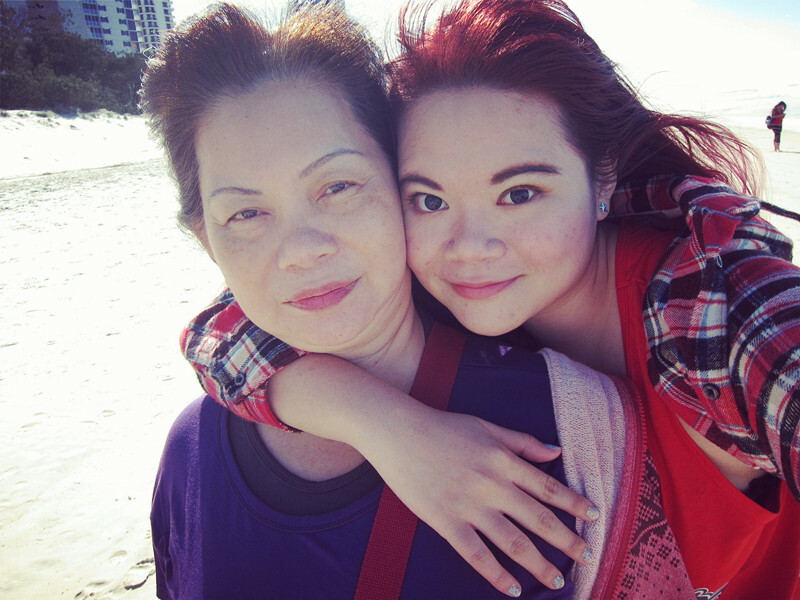 I’ve previously planned my Gold Coast and Taipei trips as I travelled with my mum. The planning job naturally lands on me as I can’t expect my mum to do the planning. I have also been to trips when no plans were made and it’s more like an impromptu trip. Decisions were made on the spot and as long as all agree, we go ahead. I actually do like such spontaneous trips as it’s not so rigid that we have to follow a specific itinerary and timeline. It’s more relaxing and we have more freedom. However, an itinerary is still needed depending on the destination and nature of the trip. Currently I’m planning for a Hong Kong trip that’s happening soon and an Osaka trip in late September. I would say Hong Kong have more space for spontaneity whereas Osaka needs proper planning. Why do I say so? The main difference between these two destinations is the time needed to get from one place to another. 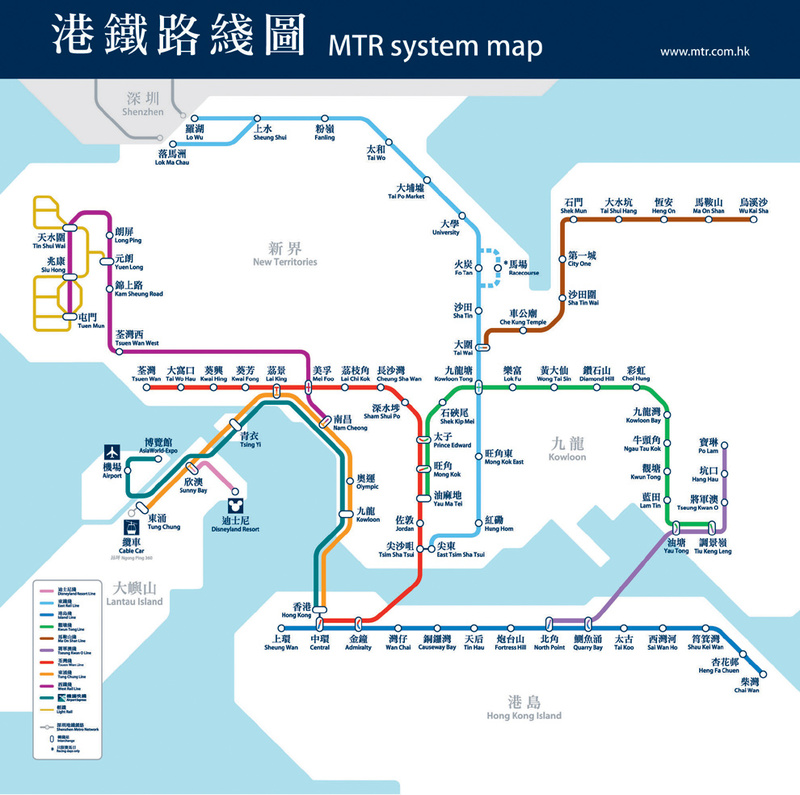 Hong Kong is pretty similar to Singapore with a pretty simple MTR system. Traveling from let’s say Tsim Sha Tsui to Mong Kok probably is similar to the time taken to travel from Bugis to Orchard. It doesn’t matter if we change our minds halfway as traveling around Hong Kong is simple and not time consuming. 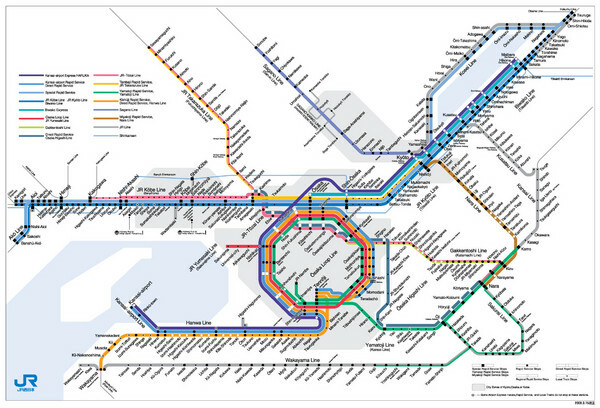 Whereas in Japan, the subway system is pretty complicated. With different lines operating by different companies, till now I still can’t make my mind on which subway pass is more economical. Which is why, I needed to plan out the places I will definitely be visiting and see which pass is more suitable for my itinerary. I definitely can’t say I want to go to Kyoto and change my mind half way and wants to go to Kobe for the next half of the day when traveling is pretty time consuming. So here are the 6 tips that you can take into consideration when you’re the one in charge of the travel planning! Before you go about planning, it is important to understand the county that you’re visiting. How is the train system like there? Is it time consuming to travel from one place to another? All these factors determine if you have space for spontaneity. Also, how’s the culture like over there? It’s always good to be able to blend into the culture so as to have a smoother trip. Is there any language barrier? You might need to look up on some simple phrases and note them down. Accommodation is a pretty important part of the trip. Although one might feel that it’s not too important as you only sleep in it. Location of the hotel/hostel/air bnb is pretty essential. You wouldn’t want to stay somewhere which requires long traveling time to the nearest train station. A good location would be somewhere where it takes only maximum 15 to 20 minutes of walking time to the nearest train station. Of course, the nearer the better. Unless you’re super rich, you do have to take budgeting for a trip seriously. It’s good to research on how much an average meal cost, the prices of the things you are going to buy there, tickets to attractions,transportation fees etc. From here, you will be able to calculate roughly how much you need and how much buffer you can add in to come out with a reasonable budget which allows you to still enjoy the trip even if you’re on a tight budget. I would say this is the most important part of travel planning. Always plan your route from the airport to accommodation on arrival day and vice versa on departure days. These should be the first two things to be planned as compared to the rest of the days. You do not want to get lost or miss any flights. If you have a midnight flight to catch, be sure to take note of the train timings so that you won’t miss the last train or bus to the airport. Always better to reach the airport slightly earlier than squeezing in last minute shopping elsewhere. I’m sure there are things to do at the airport too! A sample route that I did up for my Osaka Trip. This is getting from the Kansai Airport to the station where my Air Bnb is located. Once you have a rough itinerary, it’s always good to plan the route ahead. Especially important if you’re traveling to places like Europe or Japan. Know which station to go and where you should change trains. Write down the route in a travel planner. It will save you a lot of time if you plan ahead. Imagine trying to ask for directions in a country where you don’t speak the language. It’s better and easier if you have a planned route to show to people to confirm that you’re going in the right direction. 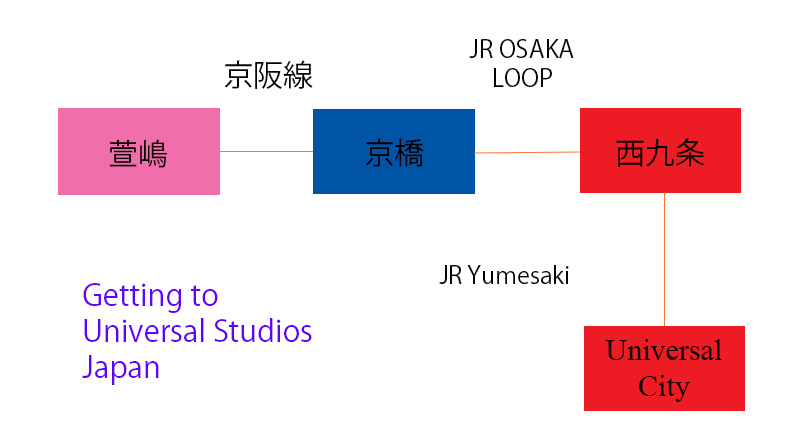 Another sample route showing the Station where my Air Bnb is and getting from there to Universal City where USJ is. That’s basically all I have to share! I hope you like this post and it really helps you in your travel planning! And as I mentioned, I will be going to Hong Kong in July with Claire and Osaka in late September with my Mum and her friends. Do let me know if you have any recommendations for food, attractions or shopping! Would definitely appreciate that! Finally, I’ve sorted out the photos for my GC trip and the very first post shall be on my accommodation! 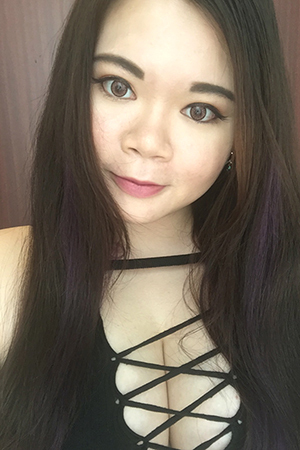 I love it very much and would probably just go back there when I visit the GoldCoast again. Moorings On Cavill is approximately 30 minutes away from the GC Airport. Take bus 702 from the GC Airport and alight at the Surfers Paradise bus stop. The bus stop is somewhere between Moorings and Vibe hotel as seen in the above photo. TIP: Get a Go Card at the Gold Coast Shuttle Counter at the airport. 10 AUD deposit is required. This card is similar to our EZ-link card. I topped up 20 AUD for my 3 days trip and there’s still remaining balance which is refundable along with the 10 AUD deposit. Bus rides are relatively cheaper using the card as compared to paying cash. We were given two keys to the apartment. These keys comes with a security censor that allows access into the main building and the lift. So you can be assured that security is tight here and only guests and residents are able to access the place. Above photos are a rough collage of the two bedroom apartment with river view that I’ve booked for a three nights stay.The Master bedroom with a queen bed comes with an en-suite bathroom with bathtub! The guest room have two single beds. There’s a common toilet and a fully equipped open concept kitchen. There’s a cosy dinning area and living room area with sofas and TV. There most awesome would be the wrapped around balcony which give you a full view of the Nerang River. Sitting by the balcony and just admiring the view was one of my favorite things to do. They also have a laundry room which we did not utilized since it’s a short stay. The Master bedroom’s mine and I loved it! It has a super nice view that I wake up to everyday while I was there and the bed is soft and comfy. Plus there’s a bathtub in the bathroom!! Happy me! The rooms are wide and spacious and so is the rest of the apartment. We only had three person but this two bedroom apartment can definitely house more people. Nice area to just chill out having a BBQ or just a drink while admiring the view of the Nerang River. This is a nice shot of the stone path that leads to the pool area from the lobby. The pool is very well maintained and is also covered up at night to prevent anyone from falling in and also leaves to fall in I think. Very clean! And did I mentioned that it’s a salted pool? Another shot taken at my apartment balcony. I get a really nice view of the Nerang river and I’m really happy. There’s so much to see and it’s feel nice and serene at night. Sunset from my balcony! Angle 1! Angle 3! I really really missed seeing this view! Can never get bored of it! Moorings On Cavill is also only 5 minutes walk from the Surfers Paradise and the beach. About 10-15 minutes walk to the Q1 tower. There’s Coles and Woolworths within walking distances too. And you know how shopping malls in Australia closes at about 4pm right? The shops in Surfers opened till 8 -9 pm so it’s super convenient. Buses to theme parks is just at the main surfers bus stop. Need to get tour tickets? You can just book directly from the front desk but do take note that the front desk is only opened till 5 pm on weekdays and 12pm on weekends. There’s also one tour counter right outside Moorings and quite a number around Surfers. So you can just take your pick! I would also like to thank Margaret and Erin for being so helpful and making us feel at home! They are really friendly people!! They replied to all my questions months before my trip and even before I made my booking. Which is why I was super looking forward to my trip then. For those who are interested, I paid 555 AUD for the 3 nights stay. They also required a 200 AUD deposit upon book in. So I paid the remaining 355 AUD at check in. Another thing to note is that I’ve to check out early at about 6 am and checking out is pretty fuss free by just dropping the keys at the front desk. You just have to ensure that you throw your rubbish and done your dishes before you leave. Margaret and Erin also helped booked a limousine transfer for us to get to the airport and the driver who’s actually staying at the Moorings even made a call to our apartment to inform us that he’s ready whenever we are ready to make a move. Which I think is really good. He was a very jovial person and even pointed out different places for us to take a look on the trip back to the airport. I highly recommend Moorings On Cavill if you’re heading to the GC! They are ranked no 1 on Trip Advisor and they are really worthy of that title.